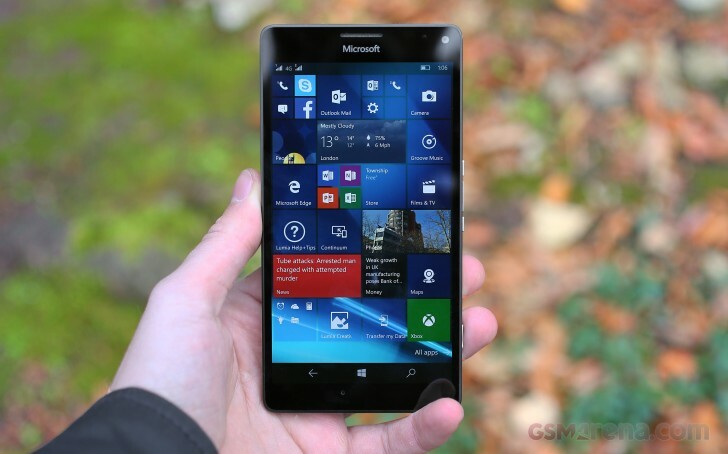 The Microsoft's Lumia 950 XL is the face of the new Windows series and a reboot of the company's smartphone business. Microsoft may have been slow in adopting new tendencies and features, but it made sure everything is done right with the Windows 10 Mobile premiere. And indeed the Lumia 950 XL lives up to all the promises and then some. The Lumia 950 XL is the most powerful Windows phone to date. The Microsoft Lumia 950 XL offers great build-quality and clean simplistic design, but the polycarbonate back doesn't feel as premium as the phone's price tag would suggest. Thickness: 8.1 mm What's this? The Lumia 950 XL back panel is removable and what's more, the battery bellow it is removable as well, which allows you to carry a spare if a single battery charge is not enough. Speaking of removable stuff, the Lumia 950 XL is among the few high-end phones to actually offer a microSD slot, so you can expand the built-in storage cheaply and easily. The Lumia 950 XL has a USB Type-C connector - it's the new reversible connector for USB that builds on top of USB 3.1. If you like to use USB OTG or USB Host, you should either get the Microsoft's Display Dock or other compatible accessory or adapter. If none of those matter to you, it's enough to know that the port provides speedier transfer speeds but none of your existing chargers will fit. In fact, we couldn't get the Lumia 950 XL to work with any other USB Type-C cable or charger we had around, so we could guess they have some sort of a proprietary implementation. Not good, Microsoft, not good! The 5.7-inch display on the Lumia 950 XL has Quad HD resolution, which equals 1440 x 2560 pixels. The pixel number sits somewhere in the middle between 1080p and 4K and in 2015 it established itself as the flagship smartphone resolution to go by. Resolution: 1440 x 2560 pixels What's this? The screen makes use of an AMOLED panel but it is also enhanced by ClearBlack technology, which is an extra layer of polarizing filter, which is supposed to reduce glare. We're not quite sure how much it improves things, but the end result is stellar performance outdoors in the bright sunlight but we're already used to seeing that from AMOLED screens. Colors and contrast on AMOLED displays are usually gorgeous to look at and this screen makes no exception. The Lumia 950XL has only average maximum brightness (335nits) if you have the brightness control set to manual, but as soon as you switch to Auto, the phone will push the brightness all the way up to 705nits given the environment is bright enough. Color rendering is amazingly accurate. With an average color deviation of only 1.6, it's among the best we've seen on a mobile phone. You have got to remember that anything below 3 is considered calibration-level color accuracy so we're really happy with the fact that Microsoft provides that out of the box. The Lumia 950 XL comes with a beefy 3,300mAh battery. 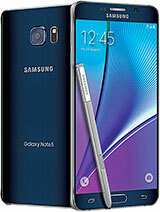 The phone supports fast charging and can recharge up to 50% of the battery capacity in just 30 minutes. Wireless charging is available, too. Through our dedicated tests the Lumia 950 XL ramped up an endurance rating of 64h, which is an estimation of how long the phone would last if you use it for an hour each of calling, browsing and video playback a day. Such usage pattern may not be relevant to your own usage scenario, but we've established it so our battery results are comparable across devices. You can adjust the formula to better match your own usage pattern, by visiting our dedicated battery test results page. Endurance rating: 64h What's this? The 64h rating on the Lumia 950 XL is above average in the grand scheme of things, but it's actually less than average if you compare it to phablets only - phones with bigger screens often come with bigger batteries. It's the standby performance that's to blame for the overall lackluster performance as the individual results in the three tests are about what you would expect. Unfortunately, once you pop a second SIM card inside, the overall endurance rating plummets to a total of 47h as the second radio modem would take its toll. The speaker on the Lumia 950 XL scored Excellent in terms of speaker loudness and it's one of the loudest phone we've had lately. The speaker sound quality is very good, but not impressive, as the sound is somewhat tinny. Besides testing the loudness of the built-in speaker, we also measure the quality of the audio output through the audio jack. When connected to an active external amplifier the smartphone's volume levels were nicely high and its clarity readings were splendid. Plugging in a pair of headphones harmed the stereo crosstalk moderately and it also introduced some intermodulation distortion and frequency response fluctuations. It's still a very good performance overall, but not quite among the best out there. 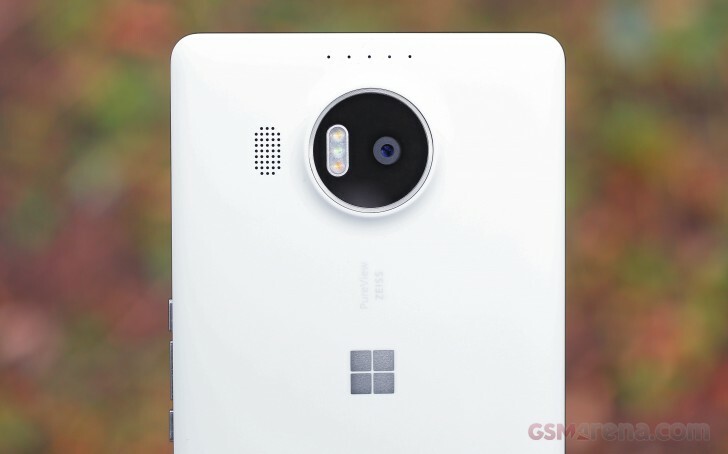 The Lumia 950 XL camera has uses a 1/2.4" BSI sensor with 20MP resolution. In comes with ZEISS-certified optics, an optical stabilization system and a triple-LED RGB flash. The ZEISS lens has a really wide 26mm equivalent field of view wide, as well as a really bright F/1.9 aperture. Camera quality is really top-notch - the detail levels are high, there is little noise, colors are accurate and contrast is great. Our photo samples all have excellent dynamic range and the rendition of foliage is lovely. You also get up to 2x lossless zoom, when shooting 8MP images. With night time photos the optical image stabilization lends its helping hand in snapping sharp night time photos. The image quality is great, there is lots of detail and the noise levels are kept amazingly low for such conditions. The Lumia 950 XL offers an excellent 5MP front snapper and the images are among the best we've seen from a selfie camera. There is enough detail, little noise, high dynamic range and accurate colors. A unique feature is that if you take flash photos with Rich Capture mode turned on, the camera would take a few photos at different flash settings and it would allow you to adjust the flash strength on the resulting image after-the-fact in the photo gallery. The camera can also be set to shoot 3-second videos along with your shots. Called Live Images, those really help bring to life the photos in your gallery. The only bad thing about the camera is that sometimes it's slow to focus properly on your subject, especially when it gets darker. It also takes its sweet time to save some of the images shot in Rich Capture mode. The Lumia 950 XL is capable of recording videos in up to 4K resolution at 30 frames per second, which makes for smooth videos. Video recording also makes use of Optical Image Stabilization system and videos come out nice and steady even when handheld. In videos, just like with photos, resolved detail is very good, the colors and white balance are spot on, while the dynamic range is really impressive. And again, from time to time, we experienced minor, but nagging autofocusing issues. Still, we deem the Lumia 950 XL 4K video fit for a flagship. The Lumia 950 XL has a total of four mics (two at the front, two on the back) and the sound in front of the camera is recorded clearer than the rest, potentially dealing with unwanted noises in your video and enhancing a subject's voice. 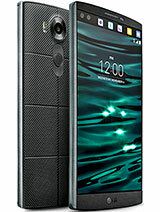 With the company's proprietary Rich Audio Recording, the phone is also able to offer distortion-free sound recording in loud environments such as live performances at concerts or clubs. Windows 10 Mobile has some tricks up its sleeve that no other mobile OS has. But we found those to be better on paper than in real life. First off, there's the Continuum functionality, where it allows you to hook up the phone to a bigger screen via the proprietary dock and enjoy a PC-like experience with a mouse and keyboard. The dock however does not come cheap ($99, €109), unless you get it as a freebie along with the purchase of your Lumia. In Continuum we found the web browser, Word, Excel and One Note to run smoothly and they looked a lot like their Desktop counterparts. However Continuum will never be able to replace a proper PC, not even one with basic specs. Aside from the fact that here is no actual desktop to put app shortcuts and files on, Continuum doesn't allow any sort of app multi-tasking. You can't position two app windows side by side, so you are still faced with the same one-app-at-a-time mobile paradigm. As soon as you open a new app, the previous one gest automatically minimized and suspended. And while most of the default system apps are Continuum-enabled, the majority of the Store apps aren't. They need to be updated by their devs to work in Continuum mode and it's unclear they would gain extra functionality on the bigger screen. Most importantly, Windows on mobile still trails behind Android and iOS when it comes to the variety of the available apps and games. The platform simply doesn't attract as much creativity and participation from devs as much as iOS or Android. A notable omission is an official, native YouTube app. Today, years after the introduction of the mobile OS, you still have to resort to watching YouTube videos in your mobile browser. Windows Hello is a biometric security feature, which allows the smartphone to scan your eyes and unlock the device once it scans your iris using a dedicated specialty camera sensor on top of the display. We found iris recognition to work great even in poor light. Regardless of the available light however, the recognition takes a few second so with time it starts to feel like a drag, especially if you are in a hurry. It also requires you to hold it quite close to you face - closer that most of us are used to using their phones. The Microsoft Lumia 950 XL runs on the top of the infamous Snapdragon 810 chipset, which has created a controversy because of its overheating issues. In the current implementation the phone still gets warm, but it's manageable and it only gets worse if you are charging it while using it. Bundled with 3GB RAM, the Snapdragon 810 is an octa-core chipset, but only four of those cores are high-performance ones. The other four are fast enough for more mundane tasks and they also draw a lot less power, so the phone's software constantly balances the utilization of the high-performance set and the power-efficient set, so that it strikes a balance between good performance and good battery life. Basemark OS 2.0: 1472 What's this? Basemark X (medium): 32178 What's this? In real life the Lumia 950 XL is clearly powerful enough to handle Windows 10 Mobile and whatever you install on it. And it's the speediest Windows smartphone to date. Still, we've noticed nagging delays here and there, especially when you start going through the numerous submenus in Settings. We've also experienced delays when we went trigger happy on the camera. Since the hardware on tap is quite powerful, we'd say the delay is caused by either poor optimization or it's how the OS was intended to be experienced (and neither of these options makes us happy). 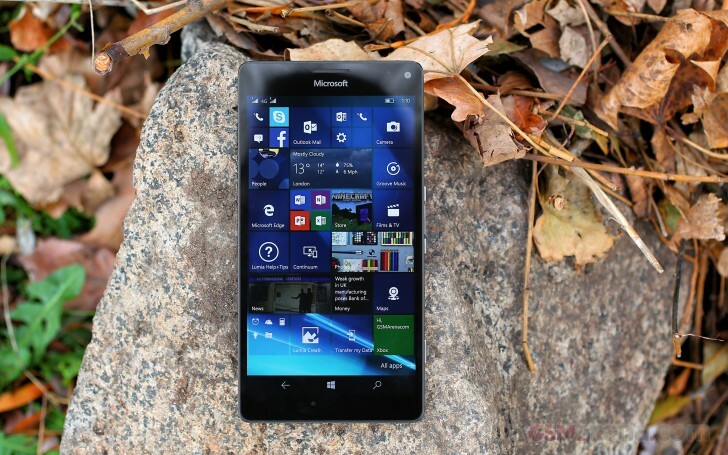 There was a time the Lumia 1520 was among the few big phones, but that's not the case anymore. A year or so ago, Android smartphones had the segment all for their own, but Apple came up with a phablet-sized iPhone of their own, so there is now plenty of competition. The Microsoft Lumia 950 XL gets pretty much everything right, but it needs to do even better than that. To make a real splash, Microsoft needs a flagship smartphone to wow consumers with either spectacular new capabilities, or with low pricing. Well, as things stand right now, the Lumia 950 XL can't offer either. The Galaxy Note5 offers premium glass design with a curved glass back, the same resolution AMOLED display and one of the fastest chipsets on the market. Surprisingly, the 16MP snapper Samsung used is almost as capable and versatile as the 20MP PureView camera on the Lumia 950 XL, but the front snapper is noticeably better on the Lumia smartphone. The LG V10 has a similar LCD screen, a secondary status screen, a duo of two front snappers and an amazingly good main camera. Not to mention the increased sturdiness - certified military grade drop resistance. We couldn't ask for more with the new Lumia 950 series and the 950 XL model in particular. Microsoft has outdone itself in every way, delivered on every promise, and even succeed to surprise us. The Lumia 950 XL may not be the perfect flagship, and Windows 10 Mobile may not be the perfect operating system, yet the leap from the previous generation is tremendous. Yeah that entire section talks about how the build quality is excellent and the design is simplistic yet surprisingly elegant and comfortable, yet then it gets a low score, which I don't understand.